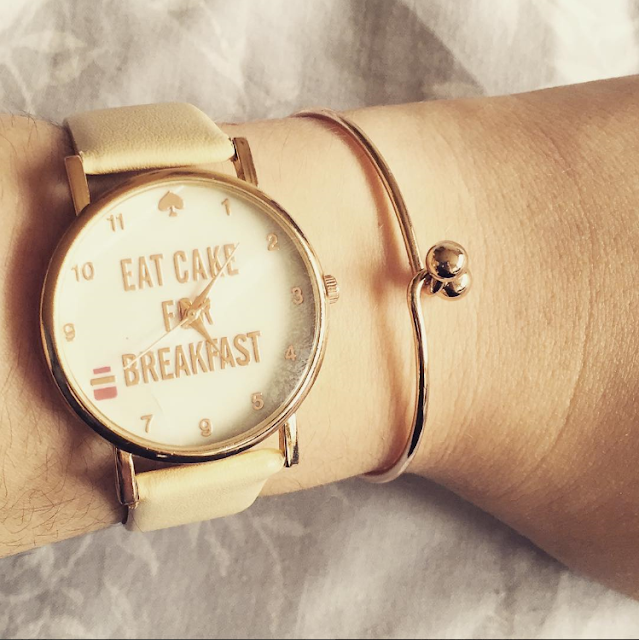 Coconut Lane | My New Purchases! One of my favourite places to shop right now is Coconut Lane. I did buy their "Reach for the Stars" necklace at the end of last year and I just fell in love with the store and everything they sell. It's took me a while but I've finally made my second purchase and I think I'm in love with it even more than my first! Since my last purchase I've decorated my room and have been on the lookout for something to help "spice up" my lonely looking bed. Thanks to Coconut Lane though, I found the perfect solution! 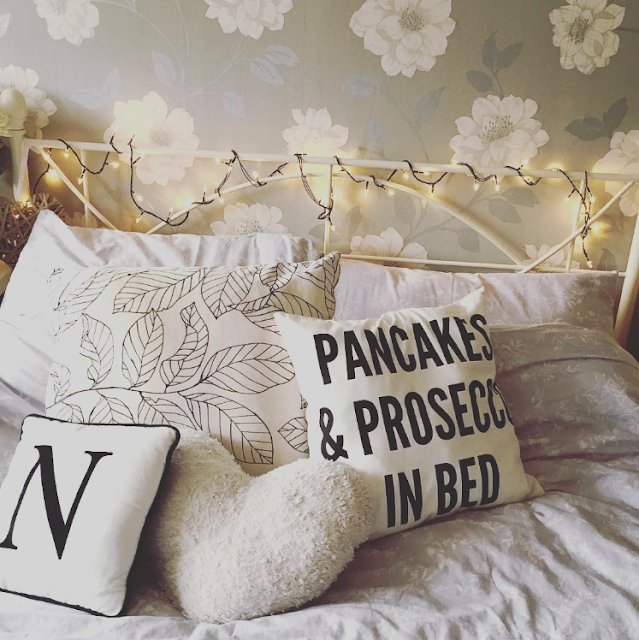 Enter my Pancakes & Prosecco In Bed pillow! Obviously it's gorgeous and it suits my decor so much. Tempted to buy more to have in my living room. My second purchase is this gorgeous rose gold link bracelet. I made this order a couple of weeks ago and since the parcel arrived, I have not taken the bracelet off (apart from showering and sleeping). I am in love with both of my new purchases and bring on order number three! If you love my purchases or something else on their website, they've given me a super secret code for all my beautiful readers so they can get 20% off all products! Thank you! Just use petalpoppet20 at checkout!